The Department of English, in partnership with the UCF Libraries, requests $101,064 ($103,564 discounted price, less $2500 cost share from UCF Libraries) to purchase a bundle of two interrelated ProQuest products that will complement and expand the library’s digital holdings in nineteenth- and twentieth-century British periodicals and will enable in-depth research in transatlantic print culture: British Periodicals III & IV and C19: The Nineteenth-Century Index. With this one-time purchase, UCF will gain access and perpetual rights to all of the content in these resources, including additions of new and updated content. The initial quoted price for UCF based on FTE and other factors was $142,808 for both the collections and the index. Following additional negotiations and responding to the opportunity to compete in the technology fee process, ProQuest has agreed to a discount of more than 25%. The savings of $39,244 makes this an outstanding offer. Each of these resources will require an annual Continuing Service Fee that is common for large digital resources of this quality. The UCF Libraries will cover this fee each year from existing funds. 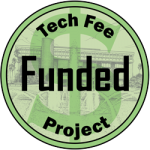 In 2013 the UCF Libraries—through a previous technology fee proposal in collaboration with the Departments of English and History—purchased British Periodicals I & II, which provide UCF students and faculty with access to full runs of journals and magazines, from the seventeenth through the early twentieth century (amounting to over 6,000,000 pages of content). In the 20 months since that resource went live, it has drawn close to 46,000 searches and over 5,000 full-text retrievals from UCF users. This resource, and its U.S. counterpart American Periodicals Series, along with other ProQuest products like Early English Books Online (EEBO), not only enable faculty in multiple disciplines to design courses around important primary source materials but, crucially, to provide opportunities for students to engage in their own digital archival research. The two resources proposed for purchase here, British Periodicals III & IV and C19 Index, will build on our already-impressive historical holdings by: (1) filling in crucial gaps in twentieth-century coverage, (2) adding to nineteenth-century British primary source and reference holdings, and (3) providing much more integrated, in-depth research capabilities in nineteenth-century transatlantic literature, history, and culture. British Periodicals III & IV extends the scope of the British Periodicals series by focusing on the first half of the twentieth century. Together III & IV comprise another seventeen periodicals. BP III includes the “Great Eight” of British publishing history: weekly illustrated newspapers the Graphic, the Sketch, the Sphere, the Illustrated Sporting and Dramatic News, and the Illustrated War News, and popular tabloids, Britannia and Eve, Bystander and the Tatler. BP IV will add to these wide-ranging and influential twentieth-century titles other important magazines such as the Field, Tribune, and Wide World Magazine, some of which have runs into the early twenty-first century. Most importantly, these collections cover one of the most volatile and significant periods of history, covering: two world wars, the women’s suffrage movement, the influenza pandemic, the decolonization of the British Empire, and the Great Depression. And, because many works from this time are still under copyright, it is difficult to find quality primary source material to incorporate into courses. British Periodicals III & IV would be a huge boon to faculty in History, Political Science, English, Women’s Studies, Journalism, and numerous other fields who teach early twentieth-century topics. C19 Index is a dynamic and expanding source for discovering nineteenth-century books, periodicals, official documents, newspapers, and archives. The C19 Index draws on the strengths of 14 existing indexes, such as the Nineteenth-Century Short Title Catalogue, The Nineteenth-Century Microfiche Project, The Wellesley Index, Poole’s Index, Periodicals Index Online, and others to create integrated bibliographic coverage of over 1.7 million books and official publications, 70,000 archival collections and 22.7 million articles published in over 2,500 journals, magazines, and newspapers. Usefully, it interfaces with UCF’s existing ProQuest periodicals collections—British Periodicals I&II and American Periodicals Series—and with JSTOR such that entries retrieved through the C19 Index will include links to full-text entries in BP I & II and APS and in JSTOR. The C19 Index also includes metadata and full-text searching within the Proceedings of the Old Bailey, with links to full-text transcripts of criminal trials (1770–1913). And, entries retrieved from the Nineteenth-Century Short Title Catalogue and the Nineteenth-Century Microfiche Project link to public domain full-text in Google Books, where available. C19 Index also includes access to the expanded online edition of the Dictionary of Nineteenth-Century Journalism (DNCJ), an invaluable (and continuously growing) resource for any student of nineteenth-century periodical print culture. Users can search the entire C19 Index simultaneously or conduct more directed searches through one or more of the individual resources within it. Moreover, browsing capability is available for the DNCJ, along with the Wellesley, Curran, and several other indexes. While UCF does not own several other digital collections that would integrate with C19—the House of Commons Parliamentary Papers, and the U.S. Serial Set congressional collections—these could be added at a later date to make this index an even more robust “one-stop” resource for researchers. ProQuest is an industry leader in providing high-quality academic content. The digitization standards for British Periodicals are truly outstanding. They offer high-resolution, grey-scale page scans that can be read on-screen or downloaded as PDFs, which can be saved, printed, or accessed directly via durable URLs. They offer enhanced searchability: documents are searchable down to full-text content, and search terms are highlighted in document view. Users can save their searches to personalized, password-protected accounts. UCF students will be able to conduct fine-grained, in-depth research in collections that, in years past, would only have been available to scholars with access to the British Library and similar repositories and by conducting unwieldy searches in over a dozen separate indexes in bound volume (some multi-volume) form. In sum, these resources, along with UCF’s current holdings in ProQuest’s digital collections, will contribute to UCF’s growing stature as a premier research institution, and they will help UCF meet one of the main challenges of the twenty-first-century university: to provide cutting-edge, accessible education to all of its students. These resources are of potential benefit to any UCF user who is interested in the content and time-period covered by these three resources. Content can be accessed by an unlimited number of users simultaneously. The content aligns with UCF’s course offerings, with special relevance to Arts and Humanities and Social Sciences. According to the most recent report to the Board of Governor’s on enrollment by discipline, 16,611 Full Time Equivalents (FTE) UCF students will directly benefit from British Periodicals III & IV and C19 Index,. British Periodicals provide materials that span the globe and that address numerous topics pertinent to students in many disciplines at UCF including: Visual Arts and Design, Performing Arts, Philosophy, Africana Studies, Judaic Studies, Middle Eastern Studies, Political Science, Women’s Studies, Interdisciplinary Studies, International and Global Studies, Diplomacy, Education, Economics, English, Communications, Anthropology, Psychology, and Sociology. While these resources directly impact 16,611 FTE students, it is likely that students in other programs will also find relevant content (e.g. students of Criminal Justice may find the history of policing and criminal law revealed in the Proceedings of the Old Bailey and related magazine and newspaper coverage of particular interest). British Periodicals and C19 Index are delivered online and are available 24×7. The content would be available to all students, whether residential or distance learners via EZproxy. The content in British Periodicals will also be easy to discover through the main search page, the library catalog, Research Guide, subject databases (such as EBSCOhost and ProQuest), and Internet searches via Google or Google Scholar or other discovery tools. The full-text articles in British Periodicals are available in PDF format and are easily printed, emailed, or downloaded to read on a mobile device or computer. The C19 Index offers durable URLs and savable searches with a password-protected “My Archive” feature. It would be difficult to overstate the importance of the periodical press to nineteenth-century and early-twentieth-century global culture. And, it is certainly no exaggeration to say that the ability to process vast quantities of information is one of the foremost challenges of an informed citizenry in the digital age. Consequently, it is easy to imagine the many different ways that the British Periodicals III & IV collections, along with the C19 Index, will enable faculty in different disciplines to compile meaningful, engaging course readings and to construct impactful research assignments. Because these resources are online, they can easily be incorporated into face-to-face, mixed-mode, and online courses. Reading and research assignments could be scaled up or down to suit lower- or upper-division undergraduate courses as well as graduate seminars. Instructors in different disciplines might draw on different content within British Periodicals and the C19 Index, but research-focused assignments utilizing the resources would lead to similar student learning outcomes in terms of the kinds of skills that they promote: research, organization, planning, analysis, communication, computer literacy, and problem-solving. Faculty can easily design assignments that would allow students to gain important knowledge while also honing these hard and soft skills, which are not only valuable to employers but necessary to the weightiest and most trivial of everyday tasks alike: from comparing pros and cons of different neighborhoods in a new city or researching medical treatments for breast cancer, to writing restaurant reviews on Yelp or browsing creative holiday cookie recipes on Pinterest. As literacy rates rose, and more and more cost-effective printing methods made magazines, newspapers, and journals more lucrative throughout the nineteenth century, there was an explosion of periodicals—aimed at all ages, genders, and social classes and designed for both specialized and general readerships. These periodicals included content on a dizzying array of topics: political cartoons, illustrated poems, serialized novels, scientific and social-theoretical treatises, art criticism, manifestoes, legal proceedings, advertisements, fashion plates, and advice columns (to offer a partial list). Readers waited eagerly for the weekly installments of Charles Dickens’s novels and Arthur Conan Doyle’s Sherlock Holmes stories to appear in All the Year Round and the Strand. Ally Sloper, arguably the world’s first comic strip, first appeared in the pages of Judy, a British miscellany. The nineteenth century’s most influential and controversial thinkers—John Stuart Mill, Karl Marx, Charles Darwin, and Herbert Spencer, to name only a few—were widely read and discussed in the periodical press. By the early twentieth-century readers would have belonged to the third generation raised on a diet of ubiquitous print media. A reader in the so-called Lost Generation, who came of age on the cusp of WWI, could have looked to the titles included in British Periodicals III & IV for essays on Africa by Winston Churchill, or articles on banking by prominent economist John Maynard Keynes, or accounts of the horrors of prison by militant suffragette Sylvia Pankhurst. They could have found glossy photographs of the great stage actress Sarah Bernhardt in the English Illustrated Magazine or read reviews of Sigmund Freud’s Psychopathology of Everyday Life in the Tatler. There is hardly any aspect of daily life or historical world events that did not find its way into the periodical press. Because of the breadth of content available in British Periodicals and C19 Index, a researcher encounters a much more multifaceted view of any given topic than might be gleaned from, say, a textbook, scholarly monograph, or a literary anthology. A student in a Victorian literature course, for example, might read Wilkie Collins’s Moonstone (often called the first detective novel) and gather a general sense that the moonstone of the novel’s title—a diamond stolen from a temple in India and brought back to England, where theft, suicide, and murder follow in its wake—points to some important social and political issues connected to British imperialism. But, if that same student, prompted by a research assignment, searched for “India” in the C19 Index, they would find thousands upon thousands of entries, including: reports of the East India Company from the 1750s in the Nineteenth-Century Microfiche Project; transcripts of criminal trials of soldiers in the British army returned to England from India in the Proceedings of the Old Bailey; Charles Dickens’s vengefully racist tale, Perils of Certain English Prisoners, which was written in the wake of the 1857 Indian Mutiny and which appeared both in his own Household Words and in American journals Littell’s Living Age and National Era; accounts of American missionaries in the New York Evangelist in 1879; discussions of the afterlife by Theosophist and feminist Annie Besant’s in the Nineteenth Century in 1896; prescient articles on India’s independence from British rule in the Fortnightly Review in 1919; condescending accounts of Prime Minister Nehru’s visit to Downing Street in 1949 in the Sphere. The keyword “India” returns 53 results from the Dictionary of Nineteenth-Century Journalism alone. The UCF Libraries will measure the success of C19, British Periodicals III & IV through usage reports and satisfaction surveys. COUNTER reports (an industry standard format for online usage statistics) will track which titles are used and the number downloaded. Selected faculty and students will be asked for comments these products. It is expected that usage will increase by 10% to 20% per year in the first three years. It is expected that students and faculty will find the content highly useful. The UCF Libraries will provide training on the use of the content through a host of outreach opportunities to both students and faculty. Bibliographic instruction sessions, face-to-face reference sessions, and LibGuides will all be used to promote the collection and provide needed instruction. The requested funds will cover the entire cost to purchase perpetual access to C19, British Periodicals III & IV. The Libraries will catalog the content, maintain links, and support access. Any recurring costs for maintenance of the collection will be paid for using library funds. Content is hosted by Alexander Street Press, and there is no impact on staff resources.